These stickers are a great way to get the word out! Ideal for the bumper or rear window of your car, van or RV (vinyl with adhesive on the back). 1 3/8 Diameter. Roll of 100. Full colored ARRL magnet. 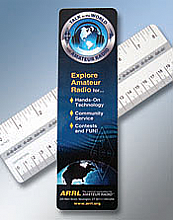 The perfect give-away for all ham radio events! A bookmark on one side and ruler on the other. 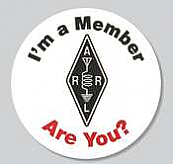 A great recruitment tool for scouts and young hams. 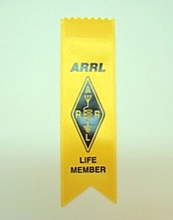 Life Members, show off your support with an attractive ARRL Life Member ribbon! 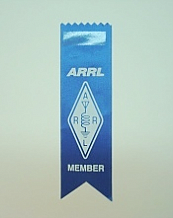 Members, show off your support with an attractive ARRL Member ribbon! 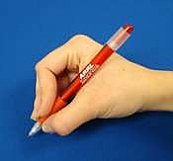 Red push pen imprinted with ARRL The national association for AMATEUR RADIO. The perfect give-away for all ham radio events! Ideal for Hamfests, Conventions, Club Meetings and more! 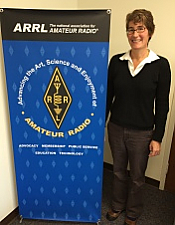 Nylon fabric banner imprinted with ARRL The national association for AMATEUR RADIO. Size 3' x 8'. 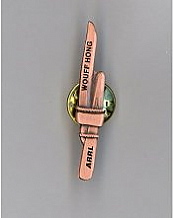 Symbolize your participation in the traditional ham ritual with these antique copper plated pins! Perfect for Clubs! 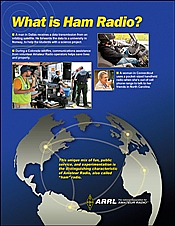 A vibrant banner featuring the ARRL five pillars. Includes banner display and carrying case.Size 29.50" X 69". Three panel Dedicated Entirely to Amateur Radio display, featuring the ARRL five pillars. A great addition to any trade show or exhibit! Use this vibrant blue table throw to display supplies and recruitment materials at club meetings, hamfests and conventions. Makes for a professional presentation! Size 10’ x 5’. 50 pack. Full color, size 8.5 x 11 inches. ARRL Worked All States (WAS) map on backside. You can specify a number from 1 to 926. 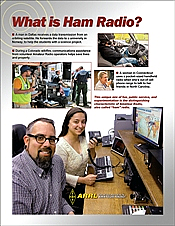 A mix of fun, public service and experimentation is the distinguishing characteristic of ham radio. Downloadable PDF available.